We appreciate you trusting us with taking care of your hearing needs and we want you to know that you can trust us with your personal details. What if you don’t provide personal information? What information do we send over the internet? We will not use your information for purposes unrelated to our hearing care services that we provide, unless your consent is first obtained. We understand that health and medical information falls under sensitive personal information under the Data Protection Act 1998 and under the special category information under Article 9 of the Data Protection Act 2018. This information will primarily be collected from you as voluntarily provided to us, but we may also collect it from other sources where it is lawful to do so, including but not limited to, the NHS or other healthcare providers, institutions or individuals you have authorised to provide information on your behalf (e.g. parents or guardians), third party service providers, government, tax and law enforcement agencies. If you contact us through a website, advert or landing page (and/or by email at customerservice@bloomhearing.co.uk) you will be providing us with personal information about yourself, including your email address, name and contact details. If you are simply browsing our website, we will collect information using cookies and/or traffic data which uses IP addresses or other numeric identifiers, which analyse navigation and use of the website. 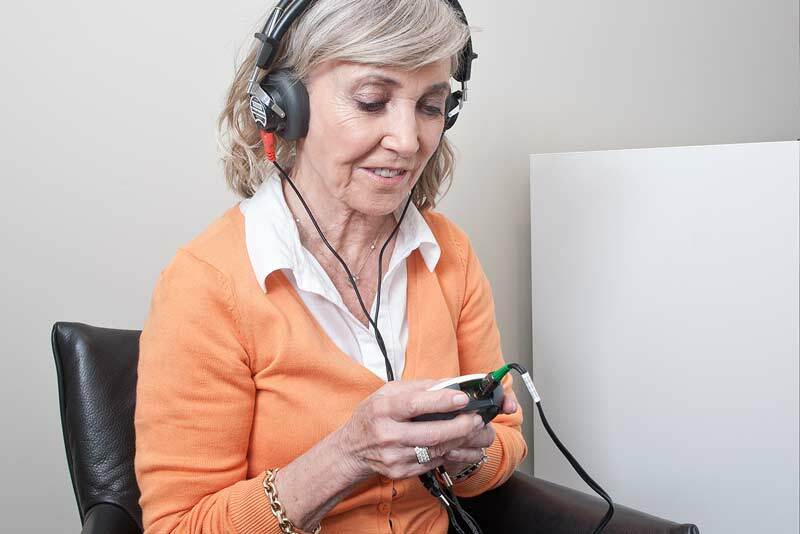 bloom hearing specialists may use your personal information to contact you in relation to our products and services. To ensure that you continue to receive excellent healthcare, we will send you non-marketing material, such as appointment reminders and notices. You can choose to stop receiving marketing emails from us by following the unsubscribe link and instructions on the respective marketing emails we send you. Personal information will be retained by us and our parent company Widex in order to provide products and services, including aftercare services, and to maintain records as required to satisfy tax and other legal or regulatory requirements, as well as to protect and defend against claims. The personal information collected by us is in most cases directly supplied to us by you. Listed below are the different ways we might obtain your information. Mailing houses: we share information with print production and direct mail fulfilment organisations to enable direct mail printing and posting. All mailing houses will not share information anywhere else and will only use information for the purposes of the mailing. We will take all reasonable steps to store your personal information securely as we would like you to feel confident in dealing with us on the internet. Whilst we will take all reasonable precautions to protect your information, please be aware that no data transmission over the internet can be guaranteed to be 100% secure and as a result we cannot provide an absolute guarantee of the security of any information you provide to us. We send information over the internet to create or/and to update your customer records. This information is always encrypted. Any data that the Audiologists and Branch Coordinators create is automatically saved on our secure cloud servers which are encrypted. We use Google Analytics features for Display Advertising. You can opt-out of Google Analytics and disable tracking using the Google Analytics Opt-Out Browser Add-on. The data provided by Google Analytics Demographics we will use to develop our website and content in line with our users’ interests. From time to time and in line with customer expectations and legislative changes, our privacy policies and procedures will be reviewed and, if appropriate, updated. Such updates will be published on our website and made available in our branches. If you continue to use our services after notice of changes have been published on our website, you hereby provide your consent to the changed practices. It is possible that we may need to disclose personal information when required by law. We will disclose such information where we have a good-faith belief that such disclosure is necessary to comply with a court order, ongoing judicial proceeding, or other legal process served on us or to exercise our legal rights or defend against legal claims. We also reserve the right to share personal information if we believe (in our sole discretion) it is necessary in order to investigate, prevent, or report illegal activities (including fraud) or situations involving actual or potential threats to the safety of any person or property. erase your personal information and prevent further processing in specific circumstances and where there is no other lawful ground for continuing to retain and process that information. you have the right to object to your personal data being used. This includes, if you want to object us using your personal data for the purpose of direct marketing, scientific and historical research, or for the performance of a task in the public interest. you have the right of automated decision making and profiling – protecting you against the risk that a potentially damaging decision can be made without human intervention. For example, you can choose not to be the subject of a decision where the consequence has a legal bearing on them or is based on automated processing. To request any of the above rights please write to bloom hearing specialists, Customer Services, 54 Fore Street, Saltash, PL12 6JL, e-mail us on customerservices@bloomhearing.co.uk or call us at 0800 169 4651. We use a variety of security technologies and procedures to help protect your personal information from unauthorised access and use including saving all customer information on our cloud server which is encrypted. As effective as modern security practices are, no physical or electronic security system is entirely secure. We cannot guarantee the complete security of our environment, nor can we guarantee that information you supply will not be intercepted while being transmitted to us over the internet. Any transmission is at your own risk. In the event that there is an interception of your personal information or unauthorised access or use of our environment, we will not be liable or responsible for any resulting misuse of your personal information. Manual destruction of files, records and computer print-outs containing sensitive data are carried out in a secure way by either internally shredding or using Restore Datashred http://www.shredding.info/ who use secure disposal methods.